Casale Civetta is in the countryside between Senigallia by the Adriatic Sea (11 km) and the medieval town of Corinaldo (10 km). 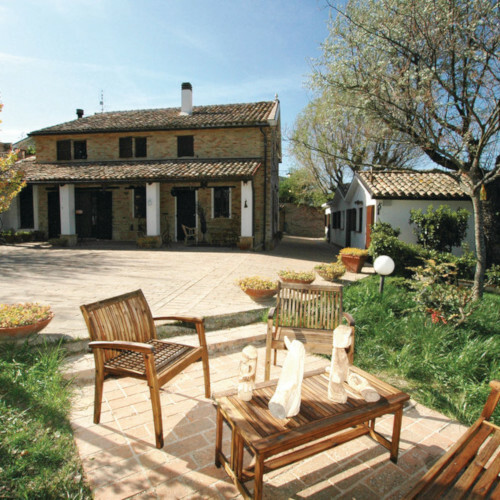 The Country House is set in a wooded area with trails for short walks and picnic places with stone tables. It is also equipped with archery areas, playgrounds, an organic vegetable garden and courtyard with animals. There are large open spaces paved with bricks where you can walk barefoot. Do not miss a swimming pool overlooking the hills and the foliage of trees, not to mention the tuff sculpture workshop. There are spaces for practising yoga and mountain biking. In the farmhouse there is a library created from a former greenhouse. It is bright and full of art and history books as well as books about the Marche region. When it comes to the specialities, in Casale there are fruit trees from which you can pick fruit freely. Thanks to these trees delicious jams are produced, which are the base for delicious desserts of Casale. Finally, guests can rest in the apartments and rooms made available by the Country House Casale Civetta.